"Iranshahr Hotel, 3 Star, No. 57, South Iranshahr Street Iranshahr Hotel is located at the cultural heart of Tehran and is close to book stores on Karimkhan, Artists Forum, and Iranshahr Theater. 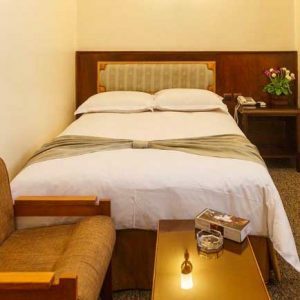 Moreover the hotel is close to Ferdowsi Square, Jomhouri Street, and Enqelab Street, all home to various attractions of Tehran. "